We are happy to announce the release of TestRail 1.1, a new version of our web-based test management software. The new version comes with a complete permission and role system, introduces the new Blocked test status and comes with various other improvements, changes and bug fixes. TestRails new permission and role system allows you to restrict user permissions, hide projects from users and use fine-grained access control to customize TestRail according to your needs. TestRail’s new version comes with pre-configured standard roles such as Guest, Tester or Lead that you can assign to users. 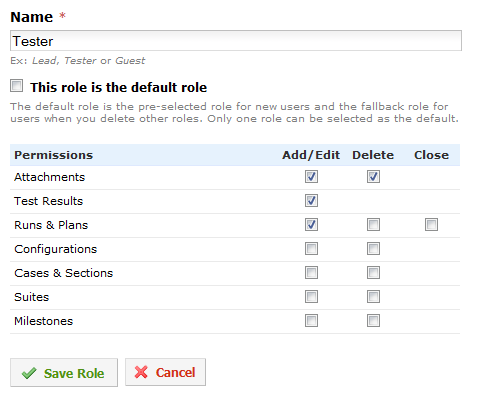 You can also customize the pre-configured roles or add completely new roles to TestRail. 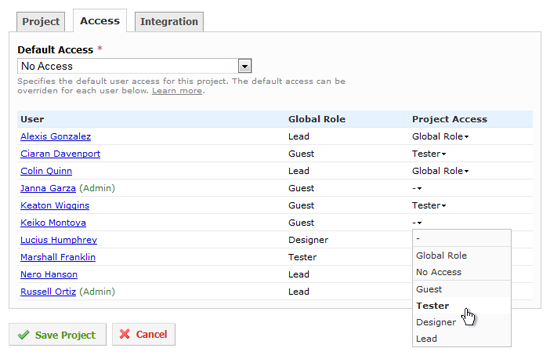 Roles and user access can additionally be overridden on a per-project basis. This is especially useful if you want to assign individual permissions to users per project. But you can also use this functionality to hide projects from users, make entire projects read-only or to invite customers to access their projects in TestRail. The combination of TestRail’s user roles, project access settings and user-specific project access makes TestRail’s roles and permissions extremely flexible. TestRail 1.1 introduces a new test status, namely Blocked. The Blocked status makes it easier for testers to highlight tests that currently cannot be validated. For example, if a test cannot be completed because the test data is not yet ready or because the tested feature is not included in the tested software build, the Blocked status can be used to highlight this. Once a blocked test is ready to be tested, it is recommended to change the status back to Retest (or directly enter a test result). 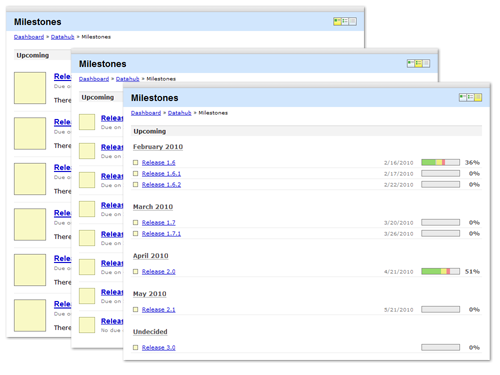 Existing customers can download the new version from our customer portal. New users can download TestRail or request a hosted trial of TestRail from our website. To view the complete list of changes for TestRail 1.1, please see our announcement forum. Please refer to TestRail’s Admin Manual on how to upgrade an existing installation.